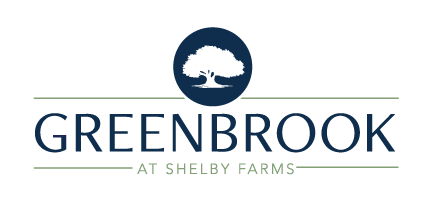 Welcome to the beautiful Greenbrook at Shelby Farms - right next store to Shelby Farms Park and convenient to downtown Memphis. That’s why living here gives you the best of both worlds. When you live at the Greenbrook, you can visit all 20 lakes at Shelby Farms Park then come home to 105 acres with three private private stocked fishing lakes just for you and your family. It's why living at the Greenbrook is like having your own park at the Park. When you choose a Greenbrook apartment home, you'll find yourself living on beautiful, landscaped grounds with three spectacular swimming pools! Factor in prestigious schools, upscale shopping and great fining and you’ll discover that you’ve found your new home - Greenbrook at Shelby Farms. Our community is not just about location. Our 1, 2, and 3-bedroom apartment homes feature a host of comfortable amenities. Visit us today and discover the perfect Greenbrook at Shelby Farms apartment home to fit your life. Here, we believe in providing you with choices, which is why our apartment homes feature a wide variety of floor plans designed to fit any life style. They all offer spacious bright airy living spaces, walk-in closets and private balconies provide ample room to relax. You can also inquire about our select units with unique amenities like vaulted ceilings and fireplaces. Whatever your choice, Greenbrook at Shelby Farms is a place we know you’ll feel right at home at. New Families and New Friends. Check out our gourmet kitchen overlooking Greenbrook apartments main pool. There are three resort style pools waiting for you with sundecks & lounge chairs. All great places to meet your new neighbors, make new friends or just take a splash. You’ll even find more activities and events at our fully lit tennis court and clubhouse! Be sure to check out our fitness center and cardio studio. In the shade of our tall pin oak trees, you’ll discover outdoor fountains and gazebos - Greenbrook at Shelby Farms really is your park at the Park. Stroll, bike, hike or jog through our award-winning landscaped grounds and take in all The Greenbrook has to offer. Greenbrook apartments puts you at the Center of Everything. Shelby Farms Park, a 4500-acre recreational facility, is located right at your back door. Our unsurpassed location provides easy access to I-40, I-240, great shopping and great dinning locations. Renting in Memphis puts you just minutes from Wolf Chase Galleria, IKEA, Walmart, Overton Square, Cordova Towne Center, Cloverleaf Shopping Center, Parkway Collection, Bass Pro Shop and Bartlett Hills Shopping Center. We invite you to visit us and experience what makes Greenbrook Shelby Farms great. Our friendly, professional team is available to answer all your questions, check availability, and take you on a personal tour of our grounds.